An exploration of standard IO, Unix filters, and simple graphics with Python and Pygame. The other day I was thinking about how I could use a Raspberry Pi for a practical demonstration of some Unix shell basics. At right around the same time, I was using a neat little shell utility called pv, for pipe viewer. What pv does is sit in the middle of a pipeline and display a progress bar, so you can have some idea of whether a long-running process is actually processing, and how much longer you'll have to wait for it to finish. It's great for things like copying big disk images to SD cards. So ok, I thought, I have this PiTFT display. What if I made a pipeline viewer out of the Pi and stuck it on top of my regular monitor? Pipes, filters, and basic data processing with shell tools in Bash. Pygame for data visualization, optionally displayed on the PiTFT. netcat for easily slinging data over network sockets. SSH as a secure and authenticated channel for data pipelines between machines. Creating a simple Flask application. This guide assumes a little familiarity with basic programming concepts and the command line, but is generally aimed at the beginner. This guide was first published on Mar 20, 2015. It was last updated on Mar 20, 2015. This page (Overview) was last updated on Apr 23, 2019. Why have a cellphone that everyone else has, when you can build your own? 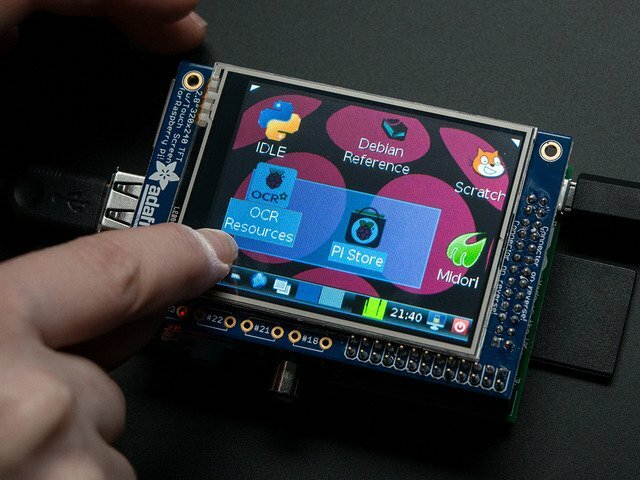 Use a Raspberry Pi to stream directly to Youtube Live with the touch of a button!